This version provides the Start Package from the shop. You will receive a [Worldly Tree] that gives 1 Happy Seed per hour and a bundle of 80 [Happy Seeds]! Furry friends enter Fuzzy Seasons: Animal Forest and eventually graduate! You are the owner of the garden! How will you treat the animals during their year-long stay in your garden? When it’s time for your fur-iends to graduate, will you be able to smile and let them go? 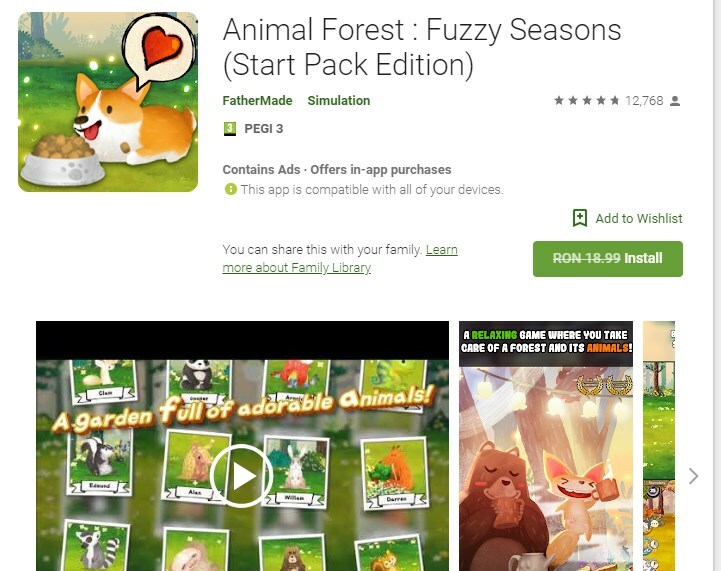 Come play Fuzzy Seasons: Animal Forest, a relaxing simulation game where you can look after the cutest animals!